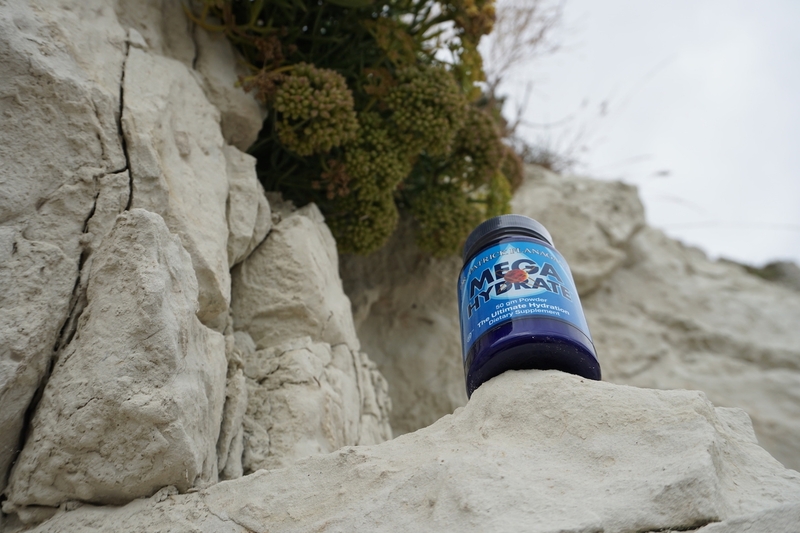 MegaHydrate is the key that unlocks the potential of water as the medium for nutrient replenishment and waste removal at the cellular level. In a state of dehydration, body cells cannot assimilate nutrients and remove waste and relief pain from conditions like arthritis or fibromyalgia. 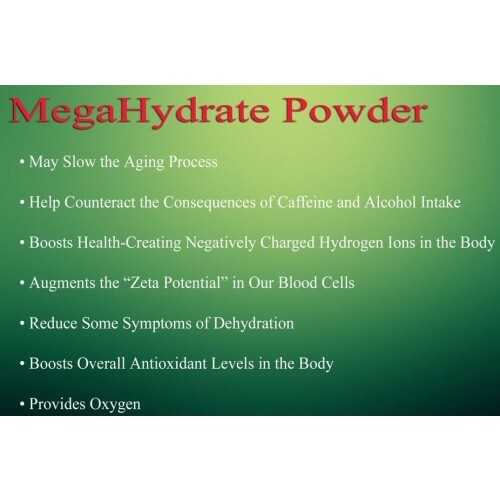 MegaHydrate also helps fight the negative effects of alcohol, stress, and free radicals as part of aging. In addition to hydration, MegaHydrate is the most powerful known antioxidant food. 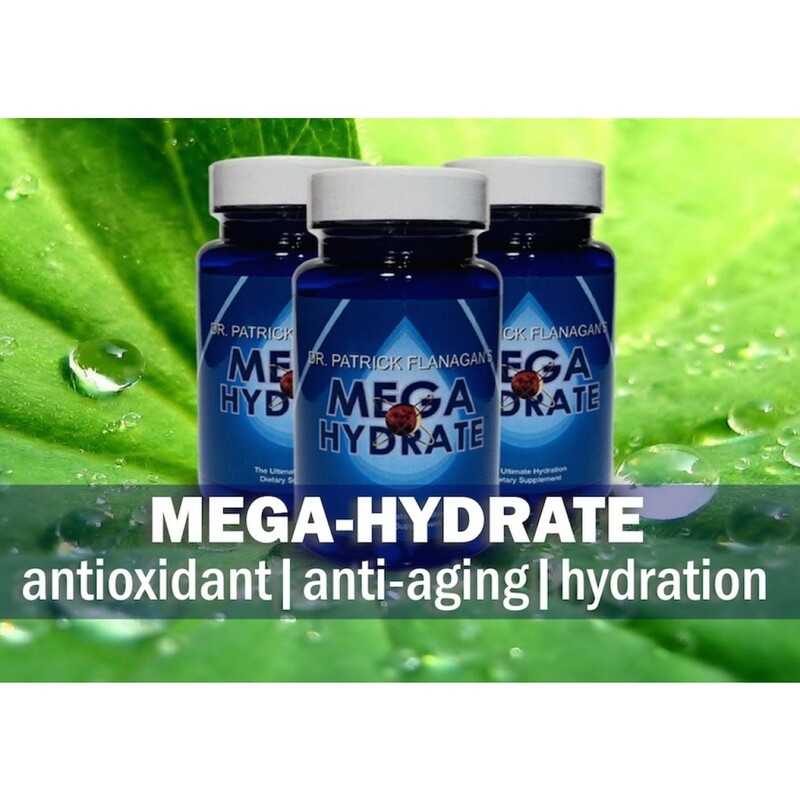 Since it is a “pure” antioxidant that does not turn into a free radical itself, taken daily, MegaHydrate delivers far more Hydrogen ions than by eating pounds of raw fruits and vegetables or drinking gallons of “healing waters,” also known as “glacial milk.” Humans need Hydrogen to survive. It is the key to long life and anti-aging. However, due to mass food production, mineral deficient soil, pesticides, chemical fertilizers, over-processing of foods, chemical preservatives, and drinking over-chlorinated and over-fluoridated water, people do not get enough Hydrogen ions daily. Body cells become damaged, hydration levels decrease and cells age. The problem with some antioxidants lies in the nature of chemical reactions in that the substance that reacts to neutralize the free radical becomes a radical, sometimes toxic to the cell and the cells around it. Phi Sciences’ published research, conducted in-house as well as by prestigious universities, shows that the unique formulation and chemistry of Silica Hydride ensures sure that no toxic byproduct is created. Specifically, Silica Hydride has been tested for effectiveness against the most harmful, as well as abundant, ROS including, but not limited to, singlet oxygen, superoxide, and hydroxyl radicals. In all the tests, Silica Hydride not only eliminated the ROS by neutralizing them but did not become a radical itself and did not create any toxic environment. The byproduct of most of the reactions between Silica Hydride and a radical is water. Comparing the effectiveness of Silica Hydride on ROS to other natural, and even synthetic, antioxidant compounds clearly shows that Silica Hydride is 800% more effective than either Green Tea or Grape Seed Extracts. For more information on the antioxidant capacity of Silica Hydride, visit the Megahydrate Capsules page. The FDA and USDA, along with physicians, clinicians, and nutritionists, are recommending that diets contain more antioxidants. Research to date shows that Silica Hydride, the active ingredient in the Phi Sciences products MegaH™ and MegaHydrate™, are more powerful than any other known antioxidants. 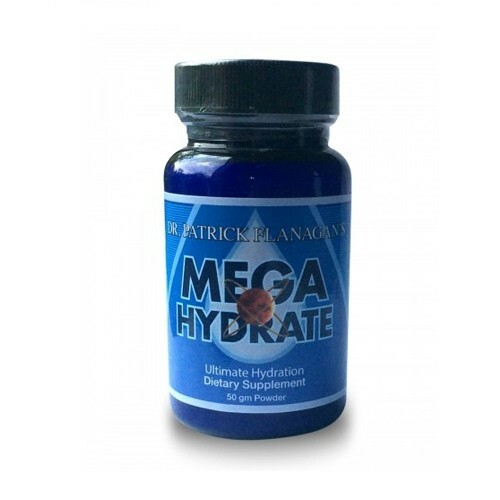 The basis of all three products, MegaH, MegaHydrate, and Crystal Energy, is Dr. Flanagan™’s patented silica Microclusters® which provide numerous features such as increased hydration, increased zeta potential of cells to clean the blood, alkalising of blood, and detoxification.The benefits of silica Microclusters® are increased energy, an enhanced immune system, pain relief, and a longer, healthier life. After developing the silica Microclusters®, Dr. Flanagan™ found out a way to capture active hydrogen (or negatively ionized hydrogen) inside the silica. This is called silica hydride. Silica hydride provides the benefits of the plain silica Microclusters® PLUS active hydrogen. 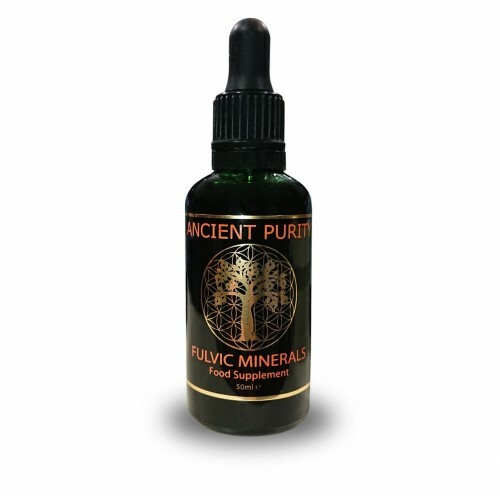 Due to the active hydrogen, silica hydride is now the most powerful antioxidant known. 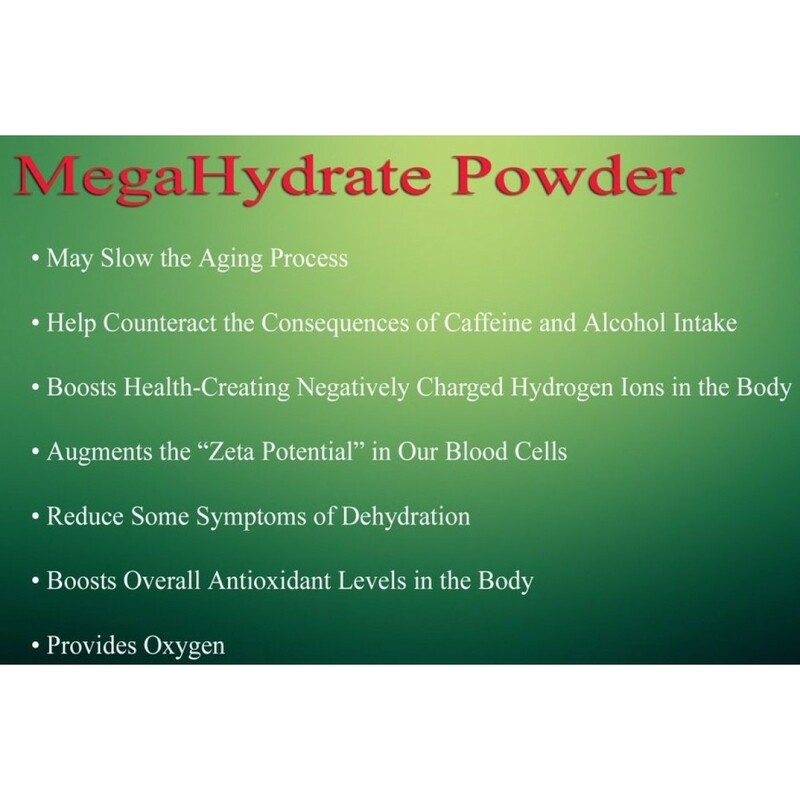 The benefits of powerful antioxidants are substantial.MegaH and MegaHydrate both have silica hydride, but MegaHydrate has 50% more silica Microclusters® than MegaH. This means that MegaHydrate provides more hydration capacity than MegaH due to the increase of silica Microclusters® used in it. However, in terms of silica hydride, MegaH and MegaHydrate HAVE THE SAME ANTIOXIDANT CAPACITY per capsule. That means that both MegaH and MegaHydrate have the same amount of active hydrogen, but MegaHydrate is a more powerful hydrator.As you can see from the chart below, all three products alkalize the body, but Crystal Energy assures that all the water you treat with it will alkalize your body (or move more acid if that is your body’s requirement). 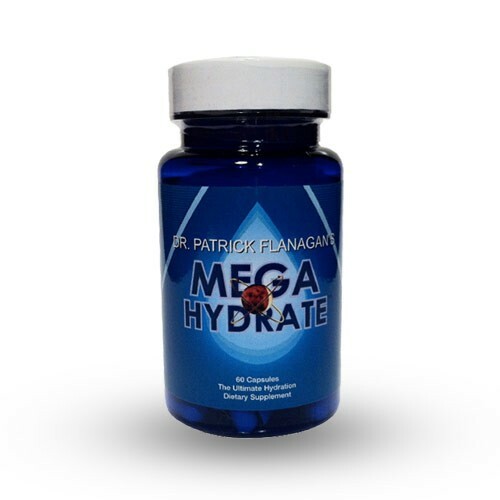 When taking MegaH or MegaHydrate, it only balances the pH of the water around the time you take the capsules. Plus if you have children, pets, or others you want to get the incredible health benefits of the silica Microclusters® without having to take a capsule, Crystal Energy is a very convenient way to do that. The ideal program is to take either MegaH or MegaHydrate daily AND add Crystal Energy to all your drinking water. 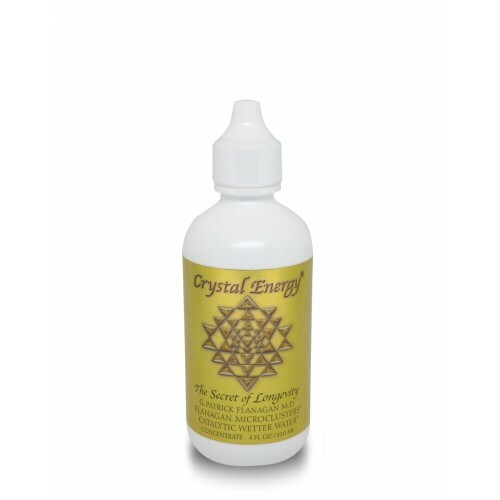 Not only will the water taste great from Crystal Energy, but it will hydrate you to maximum benefit and get the antioxidant power of MegaH or MegaHydrate. Silica Hydride Powder Proprietary Blend: Potassium Citrate, Silica, Potassium Carbonate, Oleic Acid, Hydrogen Negative Ions. Vitamin C (as Ascorbyl Palmitate). Take 1/2 a gram daily, gradually increasing if desired or as directed by your healthcare practitioner.